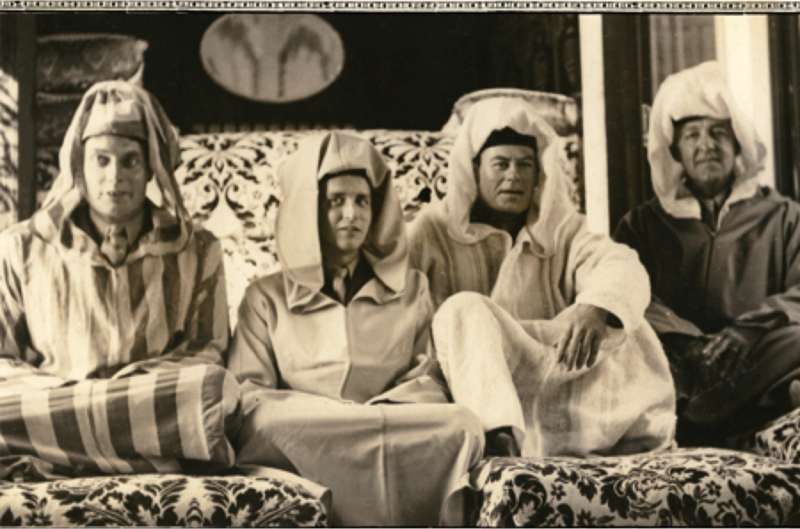 I’ll admit that when I first glanced at this photo on the front of a new book entitled “America’s Great Game” I thought for sure that it was out of a Three Stooges Short film, perhaps Malice in the Palace, circa 1949. Turns out this is no laughing matter. 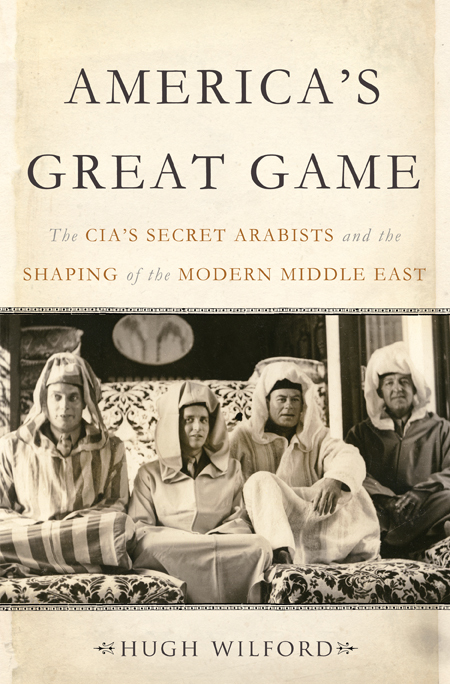 The book is America’s Great Game, subtitled: The CIA’s Secret Arabists and the Shaping of the Modern Middle East. It’s a fascinating read, starring Kermit Roosevelt Jr., the grandson of President Teddy “Rough Rider” Roosevelt. In 1953, Junior – aka “Kim” – entered Iran under a false name to carry out a CIA covert operation that toppled Iranian prime minister Mohammed Mosaddeq. This piece of history is a story steeped in oil interests and Kim Roosevelt’s Anti-Zionist Citizen Network. Eye-popping to me was the extent to which some Jews, even Rabbis, with anti-Zionist leanings, played a role in the Network. Miles Copeland Jr. was a talented musician, but his claim to fame was as a CIA operative. His son Stewart, a gifted and talented drummer, became the more famous musician forming a musical group with Gordon Matthew Thomas “Sting” Sumner in 1977 known as The Police. Miles was an expatriate who had a flair for espionage, and Hugh Wilford weaves him into the fabric of America’s Great Game in a way that will have you reading on the edge of your seat. Thanks for the tip regarding this fascinating book. Amazing that Stewart Copeland’s father was involved in the CIA. I appreciate the link to the song from the police.